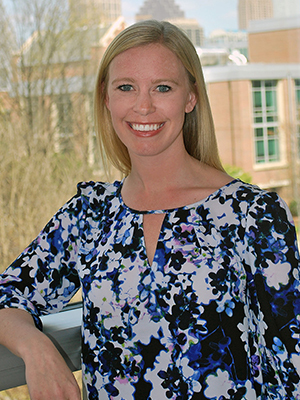 We spent a few moments getting to know our colleague, Erin Bryant, from the Parker H. Petit Institute for Bioengineering and Bioscience, and we're excited to share this information about a great colleague. What year did you join Georgia Tech as an employee? I work with bioengineering and bioscience focused researchers as they apply for grants from the federal government like the National Institutes of Health and National Science Foundation. I help gather all the needed documents, assist with the preparation of the budget and ensure the proposal follows all guidelines. I came from a childhood cancer nonprofit. The organization gave out grants to researchers specifically studying childhood cancer and I managed the grant process from the funder’s side. I worked with the researchers applying for the grants and the organization’s Medical Advisory Board to decide who to should receive the grants. I love being on campus and getting to work with a wide variety of people. It also helps that I have the best coworkers around. As a relatively new employee, the most helpful thing for me this year has been to develop relationships with other research administrators on campus. It’s helpful to have a group of people you can go to with questions. I would also recommend attending the Georgia Research Administrators’ NeTwork Conference. Do you have any recommendations on things to do on or near Georgia Tech’s campus? I don’t know if this qualifies as near, but I love the belt line especially in the spring and fall. You can catch me there most weekends. As for as restaurants go, I love Mary Mac’s – I guess it’s the MS girl in me!